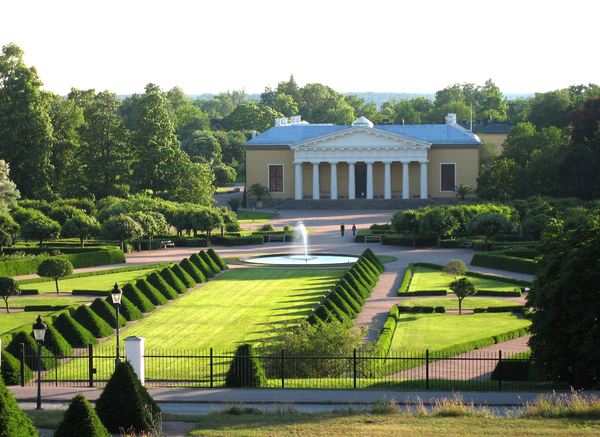 Join us for what promises to be a stunning line-up of museum, garden and palace visits in Sweden. Welcome reception at a hotel (evening). Morning: Nobel Prize Museum, Museum director Olov Amelin will tell us how you start a museum from scratch. Afternoon: Royal Palace, Bernadotte Library (not open to the public, if the venue is not required for official duties of the Swedish Royal Family, and they take precedence). Morning: Coach visit to the storage facility of the Nordiska Museet at Tumba; opportunity to see Jost Bürgi’s Armillary sphere. Return to Stockholm. Afternoon: Stockholm Old Observatory; opportunity to see some of the remaining displays and historic weather station, in use since 1756. Whole day excursion to Uppsala by coach. Morning: University Museum – Gustavianum, visits to the Augsburg Art Cabinet, the temporary exhibit “Aspiring to precision”, anatomical theatre, archaeological collections. Opposite the museum is the cathedral where Linnaeus and Swedenborg are buried. Afternoon: Uppsala Observatory and a visit to the Celsius house; Linnaeus Garden and the Linnaeus Museum, if time permits. From the collections of the Royal Swedish Academy of Sciences’ Center for History of Science. Afternoon: The Royal Swedish Academy of Sciences and the Center for History of Science. Introductioon to the history of the Academy and visits to the Center’s storage of instruments, photographs, drawings, maps and archives, including Berzelius chemical collection and the Nobel archives, to mention a few gems. Evening: Gala Dinner Klubbvilla at the Academy. Excursion by bus coach to Skokloster Castle, a magnificent baroque castle between Stockholm and Uppsala. Besides the excellent library and armoury there is the unfinished hall. The wonderful cover illustration of Bulletin 140 relates to an equally wonderful essay: Simon Schaffer’s ‘Instruments and Ingenuity between India and Britain’, which was given in December as the 2018 Gerard Turner Memorial Lecture. As always there is much (much) more, including Galileo’s Jovilabe, equinoctial dials, burning mirrors and lantern slides. Join the SIS to receive copies of the Bulletin, or click here to see the table of contents and download the free essays. In time for Christmas, here is Bulletin #139, featuring a wealth of instrumental material. The cover story is Stuart Talbot’s essay on a fascinating 17th-century telescope. We also have Silke Ackermann’s Gerard Turner Memorial Lecture, on ‘Islamic Science’ in the museum, and Part II of Huib Zuidervaart’s monumental essay on the life and work of Johan van der Wyck (1623–1679) – both free to download. Join the SIS to receive copies of the Bulletin, or click here to see the table of contents and download the free essays. 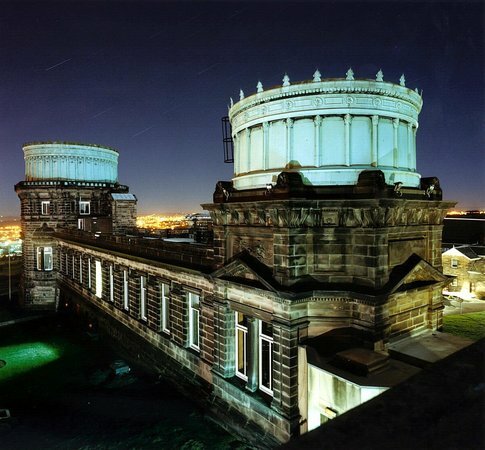 Join us for a two-day visit to the Scottish capital to see new displays of science and technology, go behind-the-scenes in museum stores and visit the historic Royal Observatory Edinburgh. Transfer back to Chambers Street, returning 20.30 approx. The cost is £95 per person (£120 pp for non-members) which includes all meals (excluding drinks), visits and transfers outlined above. Delegates are requested to make their own travel and accommodation arrangements. The 08.00–12.18 train from London King’s Cross is a good option for those wishing to travel on the Thursday morning. For other payment options please contact the SIS. Join us for a week exploring the diverse scientific heritage of the Swedish capital and the nearby university city of Uppsala where we’ll see artefacts associated with the prestigious names of Carl Linnaeus, Anders Celsius and Alfred Nobel. The Augsburg Art Cabinet, a 17th-century cabinet of curiosities containing approximately 1,000 different artefacts. Uppsala university history museum containing lectures note from the first semester of the university in 1477 and exhibitions concerning Uppsala scientists such as Linnaeus, Celsius and Nils von Rosenstein. The cost will be £430 per person (£480 for non-members) to include all entrance fees, tour guide fees, lunches (where possible), public transport costs, coach travel for excursions and the gala dinner. Delegates are requested to make their own travel and accommodation arrangements. We will start our visits from the underground station T-Centralen, on Vasagatan opposite Stockholm Central Station, with several hotels nearby to suit all budgets. For more information and to sign up for the tour, please contact the SIS. Bulletin 138 is out! The two free-to-download articles show the range of the SIS’s activities: on the one hand we have a hugely important contribution to historical scholarship, namely Part I of Huib Zuidervaart’s essay on the life and work of Johan van der Wyck (1623–1679); on the other we have superbly detailed and illustrated account of a reconstruction of Humphrey Cole’s stunning 1586 theodolite, by Jeffrey Lock. As always there’s plenty more, including articles on sundials, and accounts of the SIS’s (many) recent trips and meetings. Click here to see the table of contents and freely available articles for issue 138. Inside the Madras Observatory; from the Madras Observatory Papers by John Goldingham, 1827. Abstract: Some influential spokesmen for British rule in nineteenth century India referred to the apparent superiority of their sciences to justify their claims to control. This appeal gave the instruments of science a salient role in colonial power. In demonstration experiments, survey schemes and engineering programmes, the hardware of the sciences were used to attempt to bolster European authority. Yet this account of scientific instruments' use in nineteenth century south Asia often neglects maintenance and repair to which instruments were subject when their fragility and vagaries became obvious. Crucial, too, is the indispensable ingenuity of Indian practitioners on whose labour these instruments' careers systematically depended. 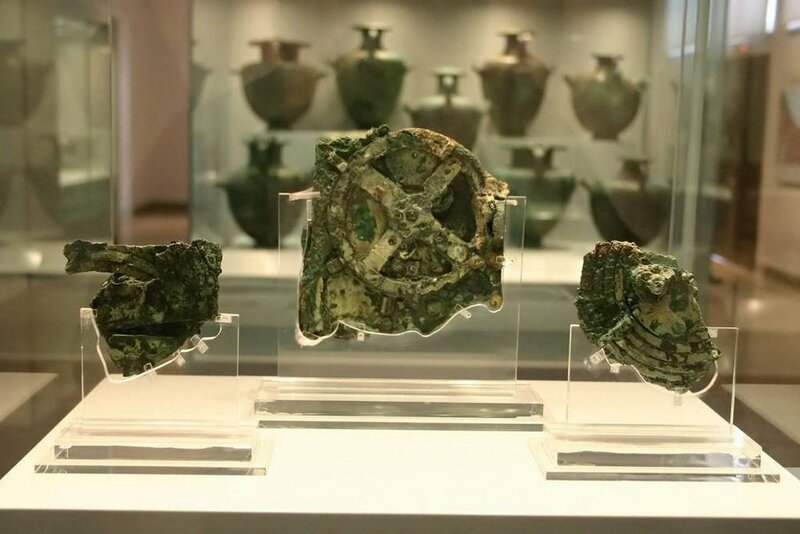 This illustrated lecture offers fascinating stories of ingenuity, adaptation and crisis which centred on scientific tools and their remarkable fate. 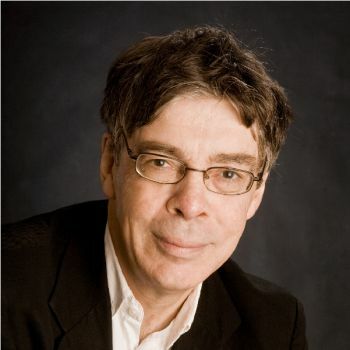 Simon Schaffer is Professor of History of Science at the University of Cambridge. He has been editor of British Journal for the History of Science and Trustee of the Science Museum. In 2005 he was co-winner of the Erasmus prize. In 2013 he was awarded the Sarton Medal of the History of Science Society, in 2015 the Caird Medal of the National Maritime Museum, and in 2018 the Dan David Prize. His research concentrates on the history of natural philosophy and the physical sciences between the seventeenth and nineteenth centuries. In 2005–10 he led a collaborative AHRC research project on the history of the Board of Longitude and of the navigational and astronomical sciences. Since 1983 the Bulletin of the SIS has published countless essays on the history of scientific instrumentation – the archive of the Bulletin is a treasure trove of information on all sorts of devices, makers, historical episodes and instrument resources. But as you'll have found if you click on that link, it's available only to members of the SIS (you can join here). So we thought we would showcase some highlights of the Bulletin by making articles selected by SIS members available for free. If you're a member and would like to contribute to this project please get in touch! Our first installment comes from Joshua Nall of the Whipple Museum, Cambridge. Josh was co-author (with Boris Jardine and James Hyslop) of the recent Bulletin essay on fake antique scientific instruments – which is also available for free here. Appropriately enough, therefore, Josh chose the important 'Final Report' on The Anton Mensing Scientific Instrument Project, co-authored by Stephen Johnston,Willem F.J. Mörzer Bruyns, Jan C. Deiman and Hans Hooijmaijers and published in Bulletin 79 (December 2003). This report brought to a conclusion one of the most thorough collaborative studies of the history of instrument collections ever undertaken, and is a model for anyone planning anything similar. And, as with anything Mensing related, it's a cracking story too. Click the image to download the article. Two more wonderful Bulletins to announce: #136 (March 2018) and #137 (June 2018). With articles on sextants, sundials hydrostatic balances, chromatographs, dividing engines and, as always, much much more. Click here to see the table of contents and freely available articles for issue 136. Click here to see the table of contents and freely available articles for issue 137. Gaye Danişan Polat from the Department of the History of Science, Istanbul University provides us with an overview of her research which has been funded by a grant from the SIS. Full details to follow in a subsequent issue of the Bulletin. 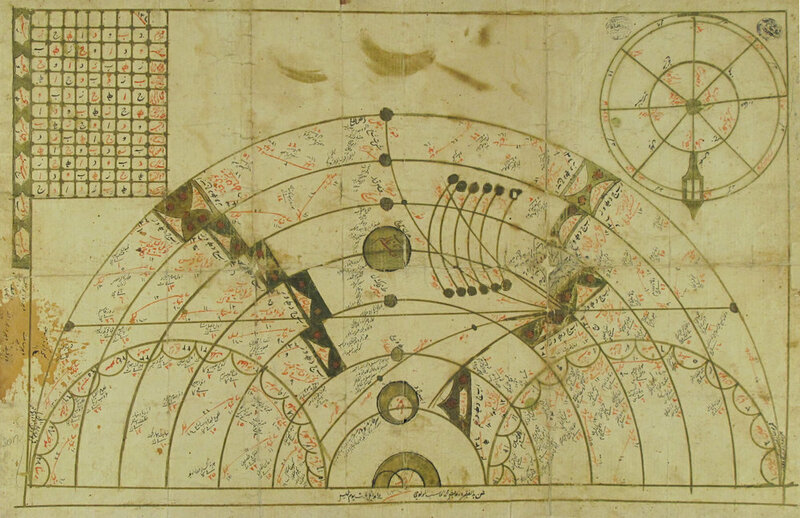 The importance of using paper instruments during the Ottoman period remains unexplained because there are few surving examples to help us understand their role in the history of Ottoman astronomy. To date there are still several important questions that need to be answered: When were paper instruments first used by Ottoman astronomers? Which style of paper instruments were used? Who used them? Were they widely used across the Ottoman world? Were the paper instruments used for education or actual calculations? This study aims to clarify the purpose of using paper instruments in the Ottoman world by assessing the following surviving examples in the astronomical literature: the first example is a calendar with the title of Ruzname-i Şeyh Vefa (replicated by Ibrahim Shahidi ibn Khoudaï Dede in 1676, BnF supplément turc 537). It includes a paper instrument with two moving circles (volvelles) representing the positions of the Sun and Moon (folio 6). Composed of a series of concentric circles, this instrument enabled the user to perform caluclations relating to the age and phase of the Moon, lunar mansions and eclipses (both solar and lunar). The second example (Fig. 1, below) is also a calendar in the Kandilli Observatory (MS 540, copied A.H.1134/1721-22 A.D) made of cardboard by Derviş Mehmed el-Hasib el-Mevlevi (d.1709) who was a muwaqqit (timekeeper). There is a gurrename on the top right corner, and also circles & semicircles featuring the names of planets, zodiac signs, fixed stars, and information about the climates, zodiac, and winds. The third example (Fig. 2) is an Ottoman book on navigation entitled Navigasyon (1857) which features a serko haritası which is equivalent to a quartier de reduction (sinical quadrant) used among French mariners. We can assume that this printed paper instrument was used for pedogogical purposes since the Navigasyon was written for students at the Naval School (Mekteb-i Bahriye). Finally, there are also a few examples mounted on wood that can be to use as surviving instrument like cylindrical sundial, qıblanuma, quadrant. This project will contribe to our understanding of the use and role of paper instruments within the history of Ottoman astronomy. Derviş Mehmed el-Hasib el-Mevlevi, Takvim, Kandilli Observatory, MS 540, 1 folio, copied in hijri 1134. Navigasyon, compiled by Halil Efendi, Mekteb-i Bahriye-i Hazreti Şahane Tabanesi, 19 Ocak 1857, plate 8. Note: For more detailed infromation about serko haritası in the Ottoman Empire see Danışan Polat G., “Osmanlı Denizcileri ve Serko Haritası (Quartier de réduction),” Osmanlı Bilimi Araştırmaları/Studies in Ottoman Science, XVIII/1 (2016), pp. 1-25. Full day excursion to Cape Sounion to see the Temple of Poseidon and the ancient metalworking sites of Lavrio. Approximate cost: £450 per person to include all excursions, coach travel, lunches and the gala dinner. Delegates will need to arrange their own travel and accommodation. For further information and to book a place please contact the SIS Executive Officer, Sarah Cavalier sis@sis.org.uk. Delegates are requested to register by 23 March 2018 at the latest. The Armsby respiration calorimeter was the first of its kind in the world. Completed by 1902, and based on Wilbur Atwater’s human device, Henry Prentiss Armsby’s device was large enough to accommodate and calculate heat production in cattle. These calorimetric measurements not only helped determine the metabolism of these large food animals but determine the nutritive quality of the foods they ate. Through the first half of the 20th century, the device was converted to accommodate sheep, humans, and even used to measure the metabolism of microorganisms until its accession into a museum in the 1960s. With a generous travel grant from SIS, I was able to visit Pennsylvania State University’s (PSU) archives to research the device and visit the outside of the calorimeter building while the inside was undergoing repairs. My visit proved that there is still much to learn about this device and its position in America’s nutrition science history. The archive holds over one-hundred detailed lab reports of experiments that were completed with the device. Many of these books contain loose sheets of paper outlining the tireless work scientists and their assistants spent on calculating not only heat, excrement, and emissions from cattle, but quality control of the device. The publications that resulted from these experiments were printed in English and German with worldwide circulation. Scholars from around the world visited the device. And scientists that worked with Armsby and the Animal Nutrition Institute (the calorimeter its main feature) proved to be very involved in the early 20th-century political climate of the U.S. Earlier this year while preparing the museum for repairs, staff found a treasure trove of new materials related to Armsby’s calorimeter and the Animal Nutrition Institute. They found a box of documents and photographs sitting within the calorimeter’s old, non-working freezer beneath a toppling pile of bulletin reprints. The items are currently being held at PSU’s Pasto Agricultural Museum until they can be properly processed with Special Collections. However, given my connections and the timing of my visit, I was able to get a sneak peak of the primary source material. They appear to highlight Armsby’s earlier publications with the Wisconsin Agricultural Experiment Station, his course materials as a professor at PSU, and photographs of the scientists who worked with the calorimeter after Armsby’s death in 1921. All images were used with permission from the Eberly Family Special Collections Library, Penn State University Libraries. “Science in Agriculture Vol. 23, No. 4, 1976,” Henry P. Armsby Article Reprints, 1892-1976. PSUA 75. Penn State University Archives, Special Collections Library, Penn State University Libraries. ‘"Die nutzbare Energie des Timothyheues." Landwirtschaftliche Jahrbucher, 1904.’ Henry P. Armsby Article Reprints, 1892-1976. PSUA 75. Penn State University Archives, Special Collections Library, Penn State University Libraries. “Calorimeter—Foreign Visitors,” Photographic vertical files, Physical Plant 1855-present. PSUA 1184. Penn State University Archives, Special Collections Library, Penn State University Libraries. “Small photograph of Dr. Armsby,” William Frear papers, 1883-1922. PSUA 362. Penn State University Archives, Special Collections Library, Penn State University Libraries. “Calorimeter Log Book,” Animal Nutrition Institute records, 1882-1960. PSUA 44. Penn State University Archives, Special Collections Library, Penn State University Libraries. 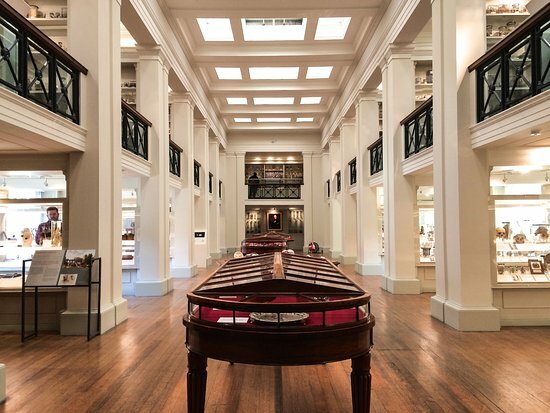 The Whipple Museum was founded in 1944 when Robert Stewart Whipple presented his collection of scientific instruments to the University of Cambridge. The Museum holds an internationally important collection of scientific instruments and models, dating from the Middle Ages to the present. The fair, the largest of its type in the world, is held twice a year in April and October. 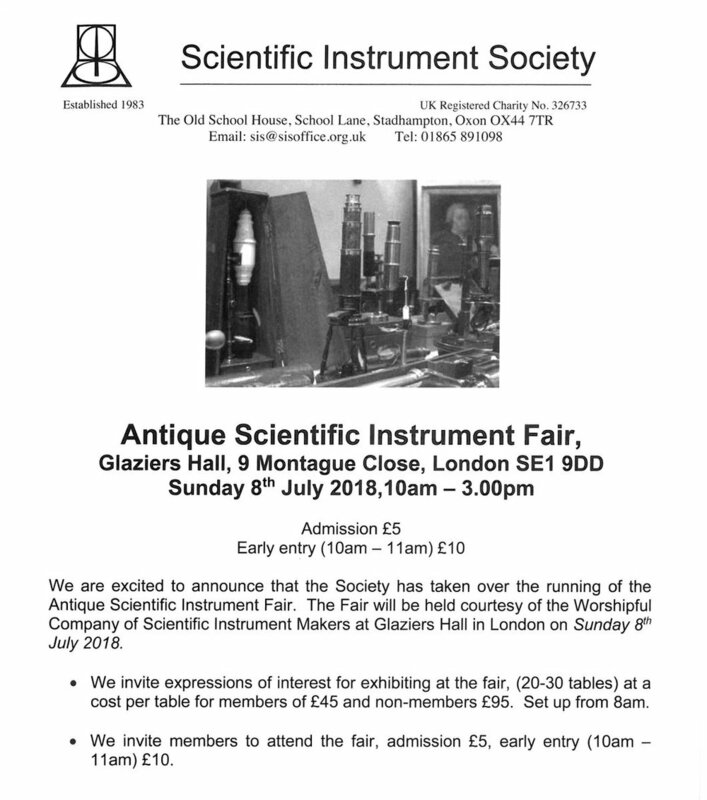 It attracts dealers and collectors from all over the world and presents an amazing display of antique instruments of science, medicine and technology. 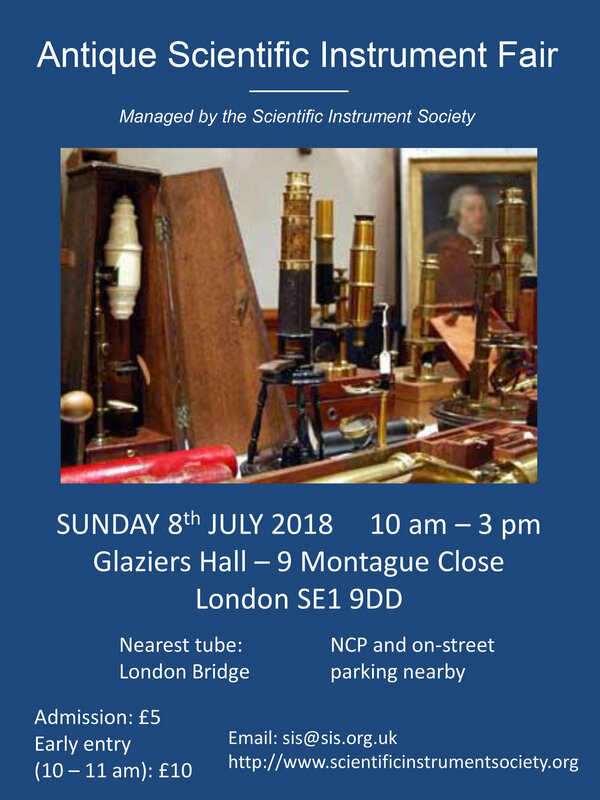 You will find microscopes, telescopes, maritime antiques, surveyor's instruments, globes, pharmaceutical and medical sets, electrostatic machines, magic lanterns, optical toys, corkscrews, clocks, compasses, architect's drawing sets, books, rules, orreries, calculating machines, early telegraph equipment . . . . . and all available for purchase from as little as a few pounds! In 2017 the fair moves into its 31st year and the October fair will be the 61st!! The lecture is free and open to the general public, no booking is required, however as a Private Members Club a dress code is observed and you may be refused entry if this is not adhered to. The King Harald V room is at the top of the stairs on the left – there is a lift if required. Dress code: Gentlemen: jacket and tie, Ladies: smart separates, dresses or business attire; No sports shoes or clothing. Abstract: In the Museum ‘Islam’ or ‘Islamist’ are words that we read in the papers almost daily – frequently in a negative context, as unreflective labels for an amorphous group of people or ideas. ‘Islamic’ or ‘Islamicate’ are labels that have been used to refer to objects – in an equally ill-defined way. The former is often used to refer to the origin of an object with a nebulous reference to religion, the latter was introduced in the 1970s to indicate a cultural rather than a religious context - whilst for most non-specialists an intended clarity frequently caused further confusion. So what do we actually mean when we refer to ‘Islamic Science’ in our museum galleries? What do our audiences expect when we invite them to join us in exploring ‘scientific instruments from the Islamic World’? The Museum of the History of Science in Oxford has - largely unbeknown to most visitors - one of the finest such collections. How should we explain this topic and how should we display the objects? And is the use of 'science in the service of religion' an exclusively 'Islamic' notion? The lecture will reflect on this multifaceted and frequently challenging subject then and now – and how we might move on from here. Dr Silke Ackermann studied History, Languages and Cultures of the Orient, and History of Science at Frankfurt University (Germany). She worked for 16 years in a variety of curatorial and managerial roles at the British Museum before taking up the Directorship of the Oxford University Museum of the History of Science (MHS) following a two-year stint at a German University between these two roles. Silke has twice served on the Committee of the Scientific Instrument Society and has just stepped down as President of the Scientific Instrument Commission. With her team at the MHS she is about to launch 'Towards 2024', the vision for the 100th anniversary of the Museum. The lecture will be followed by an optional bookable Buffet Reception from 7.00pm to 8.45pm at the cost of £32.50 per person. To attend, please complete this form below and return it with your payment by 1st November. 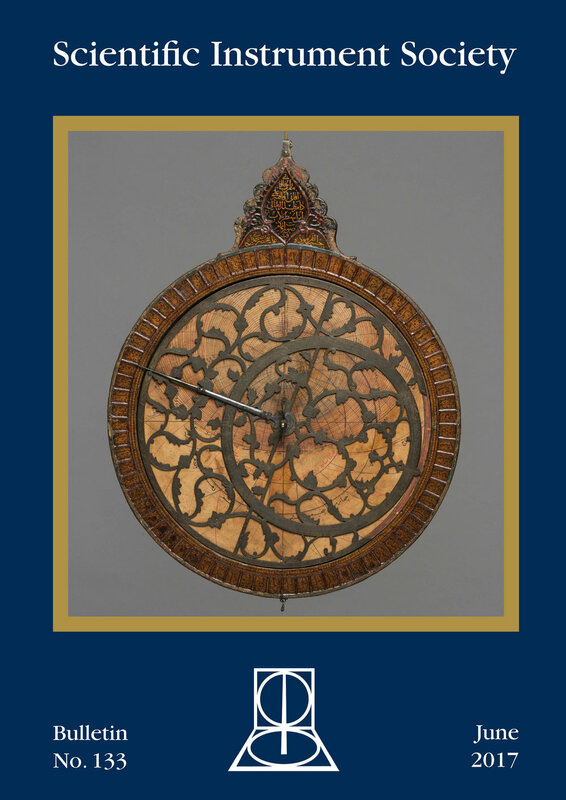 Astrolabe rete, by Muḥammad Ṣāliḥ Tatawī, 1666/7, Thatta (present day Pakistan), © The Museum of the History of Science, Oxford, inv. no. 33474. Bulletin #133 is out, with articles on the famous Leiden Sphaera, pocket sundials, and an 18th-century wooden(!) astrolabe, and more. Click here for the full contents. Staying in a hotel in central Cardiff, we will spend the week exploring the industrial, social and technical heritage of South Wales. Programme highlights include visits to the Royal Mint, Big Pit, the Department of Physics at the University of Cardiff, plus the opportunity to view items held in the reserve collections at museums in Cardiff, Swansea and Merthyr Tydfil. Please contact the Executive Officer (sis@sisoffice.org.uk) for more details. The deadline for applications is 7th July 2017.